GRIDLOCK! « THE BRYCE IS RIGHT! This entry was posted on November 7, 2012 at 5:11 am	and is filed under Politics. Tagged: Florida, GRIDLOCK!, palm harbor, The Bryce is Right, tim bryce. You can follow any responses to this entry through the RSS 2.0 feed. You can leave a response, or trackback from your own site. They prefer that we pay for their birth control and abortion procedures, whether it is against our moral convictions or not. They prefer we offer those who enter our country illegally better treatment than our own citizens. They prefer we expand the role of government in our personal lives. They prefer that we encourage people to live on the dole of the government rather than get our financial affairs in order. Politics has forever been changed in America, though – what used to be liberal is now moderate. Reckoning will come soon… China is running out of money and suffering their own unrest; fundamentalist terrorists still hate us and want us gone; our allies are now impartial at best, unable to help at worst; sequestration looms and is simply cutting a relief hole in the skull so that the cerebral swelling does not kill the patient. It fixes nothing. “Thank you for the article, it brightened my day and helps to restore my confidence in the system giving me hope that the conservative movement will continue to grow stronger. 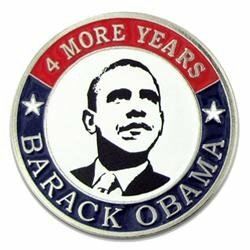 I still am having a very difficult time accepting the fact that Obama just got re-elected to this job for 4 more years?? I know if I had a résumé and track record like his, a promotion would be out of the question, and that is assuming I would even be employed! I live in CT. and still can’t believe how blue this state is? I have been talking with people for 6 years now about how bad the Democrats are for our lifestyle that we enjoy. I never really run into people that disagree with me, that is why I am confused when I see the state so blue. “Frustrated at how the election was going I took 2 aspirins and went to bed. I am still confused as to how and why an individual can win the popular vote and majority of states and still lose the election. No one has ever been able to explain to me why voters in certain states votes count for more than voters in other states. The so called swing states have the weight. It was pretty obvious by the map what states elected the President. “I admit – there’s a part of me that would like to crawl back to my original predictions and say Romney could never win against Obama – but frankly – he won me over. The healthcare thing did not get in his way, the likability thing I think began to turn to likability for him, people came around. He was almost flawless in the debates. It appeared that the Evangelical vote was coming out in droves (although we’ll see some hard numbers in a few days. If they didn’t that would be a huge tell) – Jews and Catholics seemed to have left Obama. The DNC was in DEBT and borrowing money – they couldn’t pay people to go to O rallies while 20,000 to 30,000 people showed, same state – for Romney/Ryan. Last big concert only filled half the stadium with Jay-Z and Bruce Springstein – #Blacks4Romney was blowing up Twitter — newspapers formally for Obama left him like flies so many more things that made it a slam dunk for Romney – or so it seemed. He’s a national JOKE. “I take a moment to congratulate Mr. Obama on his successful bid for re-election to the position of POTUS. Albeit a narrow majority of victory, it is nonetheless, a victory; congratulations are in order. The American people have chosen freedom in lieu of Liberty, the chains of governance in lieu self responsibility, indoctrination in lieu of education, entitlement in lieu of achievement, mediocrity in lieu of excellence. They voted with emotion, casting reason to the wind. So be it. It is my sincere hope and desire that the POTUS will be as successful at re-uniting the American people as he was at dividing them; that he be as successful at reducing the deficit and debt as he was at increasing them; that he be as successful at improving the National economy as he was at dismantling it. I sincerely hope that the insanity of the last four years is replaced by sanity and responsibility in the upcoming four years. For the sake of the Nation, I desire that he work on behalf of the entire Nation. The great experiment is at an end. The United States of Socialist America has joined the ranks of a so called ‘equal’ world order. This is the reality we now must realize. Corporatism has successfully bastardized Capitalism and joined the ranks of corruption and tyranny. They will still send he jobs overseas and blame everything but their own actions as the cause. America has made a choice. I am reminded of a great man that once said; “Father, forgive them for they know not what they do.” We are faced with a harsh reality, nonetheless, it is reality. I encourage all American citizens to put aside resentment and division in favor of strengthening America. We are in difficult times and cannot afford to continually squander away opportunity. “Another nice piece. Good work! The folks who want the free stuff carried the day, including constitutional amendments in our beloved state. With demographic shift trends and the media’s thumb on the scale, both in favor of our friends on the Left, I’m not sure it is wise to keep the faith at this juncture. It, at minimum, will be difficult. I fear the nation may have passed the Rubicon. I’m not a conspiracy nut by any stretch, but one has to at least wonder if there is any merit to the concerns of some folks about the Cloward-Piven strategy. I fear the cumulative impact of ignoring the 10th Amendment and passing the 16th Amendment has eroded the Republic our Founders gifted us. We now have the concentration of power they so fervently warned against in the Federalist Papers. “We can only hope that Obama gets in another lawsuit which is heard by some Judge that does not care that he will be assassinated after declaring that Obama is in the wrong. Otherwise our country is doomed and Obama will change our nation’s name to “THE UNITED SOCIALIST STATES OF AMERICA”.